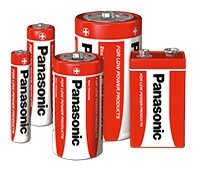 Panasonic Alkaline batteries are made from the same basic materials as Zinc-Carbon batteries, but deliver generally higher performance on all criteria. These batteries can therefore power high-performance standard applications. 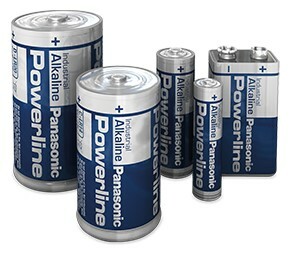 Our Alkaline batteries are made in Europe and fulfill the highest quality standards. The illustration shows only one example of Alkaline battery structure. This is a standard solution for applications which do not require high voltages but still benefit from extraordinary performance. With years of production experience to call on, Panasonic can deliver best-in-class performance for these technology parameters. Our Zinc-Carbon batteries are made in Europe. The illustration shows only one example of Zinc-Carbon battery structure.